google-site-verification: google8d8438b214143f71.html Beautiful Quotes: It’s not always easy to find happiness. It’s not always easy to find happiness. Your happiness starts with YOU – not with your relationships, not with your job, not with your money, but WITH YOU. It is not always easy to find happiness in ourselves, but it is always impossible to find it elsewhere. 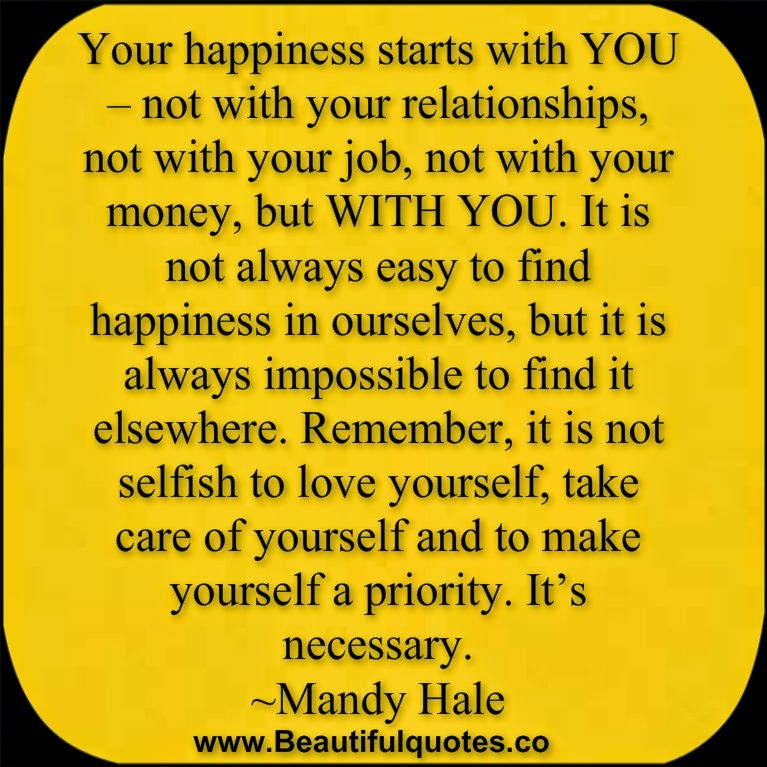 Remember, it is not selfish to love yourself, take care of yourself and to make yourself a priority. It’s necessary.